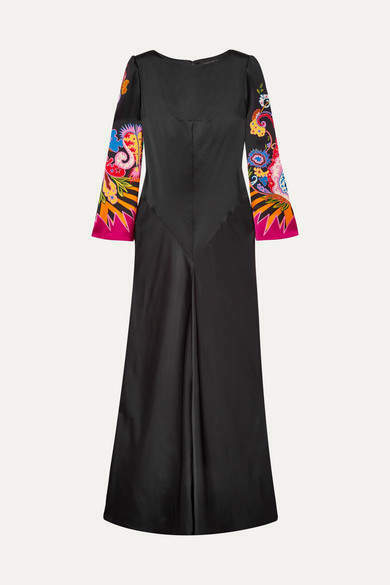 Etro's gown is cut on the bias from lustrous black satin that drapes so beautifully. It's simply printed with the brand's signature floral paisley motif along the sleeves and gently flares out at the floor-grazing hem. 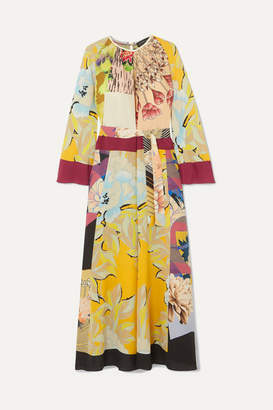 Wear it to your next event with sandals and a tasseled bag.